A woman who hit her father over the head with a spade and buried him in the garden has been jailed. Barbara Coombes, 64, of Matlock Road, Stockport has today, Wednesday 11 July 2018, been jailed at Manchester Crown Square for nine years. The court heard how in January 2006, Barbara Coombes had been gardening at her father’s home on Matlock Road in Stockport. Coombes then went into the house and saw a box of photographs on the dining table, which she started looking through. When she realised these were explicit images of a child, Coombes took the spade she had been using from the garden and confronted her 87-year-old father Kenneth in the lounge. Coombes struck him in the back of the head first, then when he turned to face her, she struck him a second time with the spade. She then wrapped her father in a rug and dragged his body outside, where she buried him behind a tree. The following day Coombes ordered a tonne of soil which was used to bury Kenneth in their back garden. To explain her father’s sudden disappearance to the rest of the family, Coombes said Kenneth had died and the hospital had arranged for his cremation. After the makeshift burial, Coombes cleared out Kenneth’s belongings from the house. She further concealed her father’s death from the council and other services, continuing to live in his home, claiming his benefits and using his money. Over the 12 years that Kenneth’s death was undisclosed, Coombes fraudulently profited from over £180,000 in benefits. On Saturday 7 January 2018, after a welfare officer insisted on seeing Kenneth at a scheduled meeting the next day, Coombes went to a police station and told officers what had happened. She was arrested and pleaded guilty to manslaughter, preventing a lawful burial and fraud at an earlier hearing. 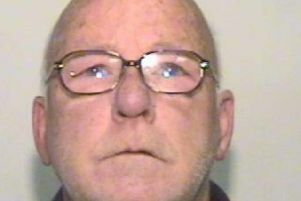 Senior Investigating Officer Duncan Thorpe of GMP’s Major Incident Support Unit, said: “This is a tragic case in which an elderly man has been killed by his own daughter, who then went on to fraudulently claim benefits of over £180,000.